 Our brew kettle, ‘Russell’, spends many strenuous hours curling his mustache and finding the skinniest jeans for his skinny pipe legs. However, one weekend we had asked him to hang up his plaid, take off his toque, and remove his fake glasses; all in order to make one tricky beer. Russell was happy to help our brewers craft our first kettle sour that we are very proud of. This beer is soured using naturally occurring Lactobacillus with a little helping hand from the acidulated malt. Russell kept some for himself; perhaps you should try it too!